Another Friday has come around again, scary to think a quarter of 2018 is over already! Where is the time going? 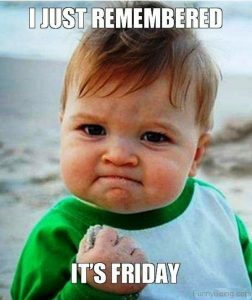 While Really Cheap Carpet Cleaning are working their way over Brisbane this weekend, we hope you all have a happy and safe weekend with your friends and/or loved ones. We’ve got some really good deals happening at the moment, why not hop over to our carpet cleaning Brisbane page to see what we can offer you?